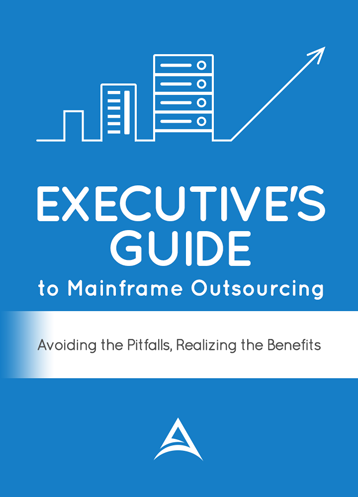 Mainframe Outsourcing involves the transitioning of a number of technical support functions that are currently being handled in-house to an outsourcing provider. These services would begin after a contract is in place and a vendor starts managing your mainframe system. The mainframe can be physically located at a vendor’s facility or remain at your data center (see Mainframe Outsourcing Types). The services listed below include the typical types of support that a vendor could provide. Operating System: A vendor will install operating system software. A vendor will configure the software, apply upgrades and patches from the manufacturer. Logical Partition (LPAR) Support: A vendor will install, configure and implement LPARs within the managed environment. A vendor will implement LPARs utilizing the hardware management console or a primary partition. An outsourcing vendor can provide systems (technical) DBA support for your database (i.e. DB2 and IDMS) environments. These services include installation, configuration and maintenance of the mainframe database software as well as support for the system directories, catalogs and dictionaries. They will monitor, backup and recover the system database resources as well as provide system-level problem determination for the database software and related tools. Storage capacity planning by reporting on historical growth, and in combination with information regarding anticipated business changes, extrapolation of future storage requirements. As resource utilization approaches your specified thresholds, a vendor will notify you and review recommendations. For CPU capacity planning, a vendor will provide graphs showing historical and current usage. A vendor will collaborate with you to discuss anticipated business driver changes, their projected effects on system performance and potential courses of action. A vendor will provide capacity planning services including the analysis of current CPU resource utilization and the projection of future CPU consumption.